My paternal great-grandmother, Abuela Teresa, was born in 1898 in Spain. Growing up, that was the absolute coolest thing - knowing someone that was born in the 1800s. She was barely 4'8" but had the character the size of a giant's. The myths and legends about La Abuela Teresa were monumental. She could always be found in one of two places - first place, the kitchen. When someone would come to the house, you'd find her making Cuban coffee, right as the guest was walking up to the door. 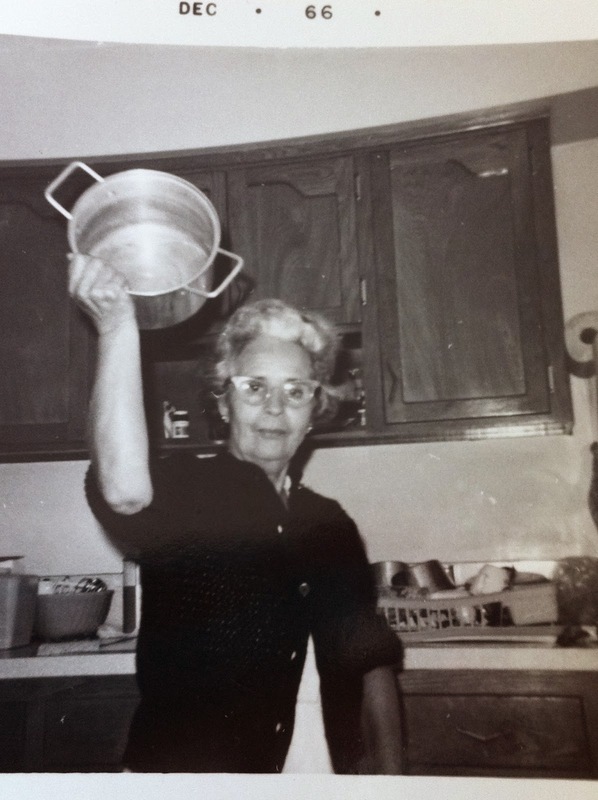 She'd make croquetas with her hand-cranking meat grinder from leftovers, regardless of what the leftovers would be. She'd have pimento cheese spread on-hand and all other sorts of goodies ready. Just ready. If she wasn't in the kitchen, she was knitting. It was probably crochet that she was doing but I never know the difference between crochet, knitting and bordando. She did that too, I'd say. Scraps of fabrics, yarnballs all over her bed and her knitting needles, working away. As I was getting ready to put together some old photos I've taken throughout this journey for The Project, I came across the photo at the top of this post. So many thoughts come to mind when I see that photo above. Maybe she was about to yell at one of us for running around the house like crazies. Maybe she was showing off the pot before making some amazing potaje. Maybe she was about to send someone to go fly a kite for taking a photo of her. As her grandson, my Dad, always says, "Let us count the possibilities."